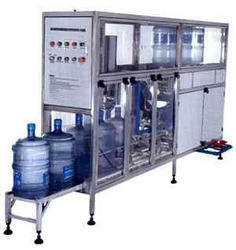 We are the manufacturers of Automatic Jar Filling Machines. 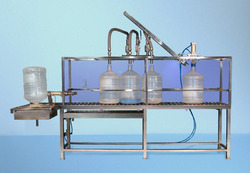 Filling Machine for Jars are recognized in the industry for their capability to efficiently handle the requirements of filling liquids in both low as well as high viscosities through volumetric filling. With the machines being tested on defined parameters that assures their compliance with defined industry laid norms as well as standards, these Jar Filling Machines can also be manufactured in adherence with defined functional standards and norms as required by the customers. Some areas these are used in include for filling detergent, paints, syrups, edible oil, lubricants and other similar products. We are the manufacturers of Semi Automatic Jar Filling Machines. Filling Machine for Jars are recognized in the industry for their capability to efficiently handle the requirements of filling liquids in both low as well as high viscosities through volumetric filling. With the machines being tested on defined parameters that assures their compliance with defined industry laid norms as well as standards, these Jar Filling Machines can also be manufactured in adherence with defined functional standards and norms as required by the customers. Some areas these are used in include for filling detergent, paints, syrups, edible oil, lubricants and other similar products. Looking for Jar Filling Machines ?